Will look lovely on dining, coffee and side tables or sideboards too. 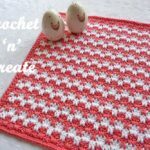 Click the links or pictures below to check out more of my other free table mat patterns. Shell Group. (2dc, ch1, 2dc) in same space or stitch. Pattern Row 1 – ch1, 1sc in base of ch1, * ch2, skip 2dc, work (1sc, ch3, 1sc) in next ch1 space on shell group, ch2, skip 2dc, work 1sc in space between the shell groups, * rpt from * to * to last shell group, ch2, skip 2dc, work (1sc, ch3, 1sc) in next ch1 space of shell group, ch2, skip 2dc, 1sc in top of ch3. Turn. Pattern Row 2 – ch3, work (2dc, ch1, 2dc) in each ch3 space to last sc, 1dc in sc. Turn. Rpt Pattern Rows 1 & 2 until sixteen shell group rows have been worked in all or work measures approx 14 Inches from beginning. Turn. Next Row – ch1, 1sc in base of ch1, * ch2, skip 2dc, 1sc in next ch1 space of shell group, ch2, skip 2dc, work 1sc in space between the shell groups, * rpt from * to * to last shell group, ch2, skip 2dc, work 1sc in next ch1 space of shell group, ch2, skip 2dc, 1sc in top of ch3. Turn. Edging – ch1, 1sc in base of ch1, 1sc in each ch2 space and sc to last sc, 3sc in last sc, work 47sc evenly in row ends down first side of mat, 3sc in corner, 35sc evenly along cast on edge, 3sc in corner, work 47sc evenly in row ends up second side of mat, 1sc in corner, sl st to first sc on beginning of row. Turn. Next Row – ch1, 1sc in base of ch1, 1sc in each sc around all four sides of mat working 3sc in the 3 corners, 1sc in last corner, sl st to first sc. Turn. Next Row – ch1, 1sc in base of 1sc, * skip 1sc, 5dc in next sc, skip 1sc, 1sc in next sc, * rpt from * to * around four sides of mat to last 3sc, skip 1sc 5dc in next sc, skip 1sc, sl st to first sc on beginning of row. Fasten off. 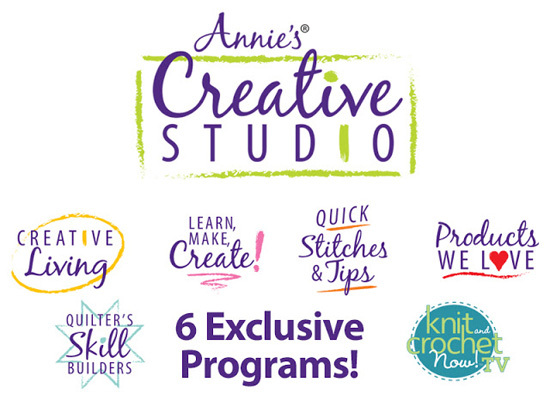 Finishing – Weave in any loose ends of yarn and trim. 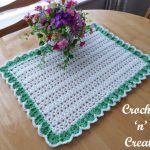 As well as making for your home, you could also crochet the table center mat to sell at summer fayre’s, bazaars etc. Have fun with them and don’t forget to pin this post for safe keeping to your Pinterest boards. Happy crocheting until next time folks. 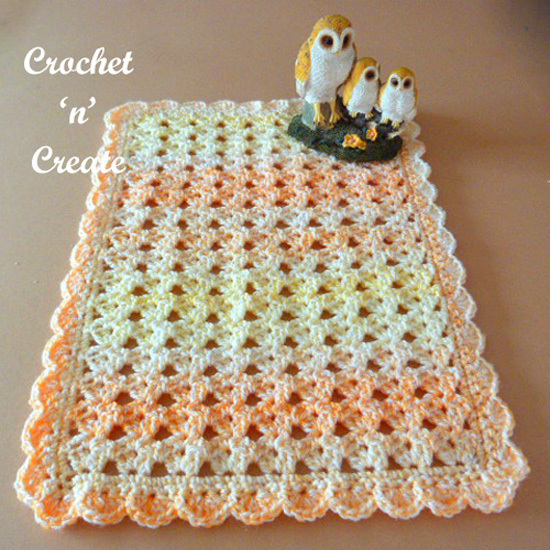 You are welcome to sell the finished products made from this crochet table center mat free crochet pattern, I just ask that you put a link back to crochet ‘n’ create. 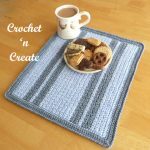 If you wish to share this crochet table center mat pattern on social media or your blog please only use a direct link to the pattern page on crochet ‘n’ create. 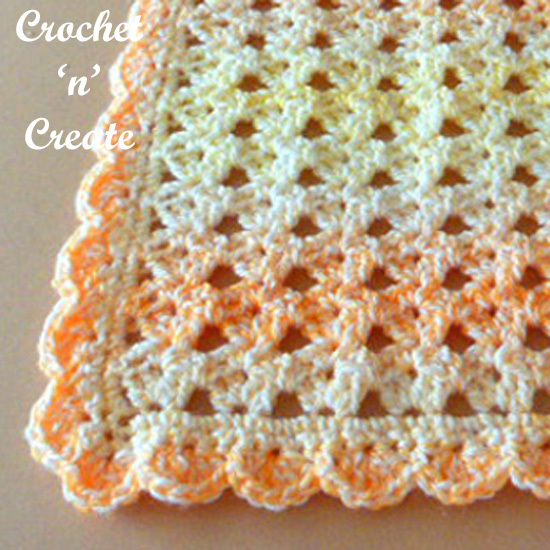 I love the pattern and the colours you used. Is it possible to enlarge it to an Afghan? 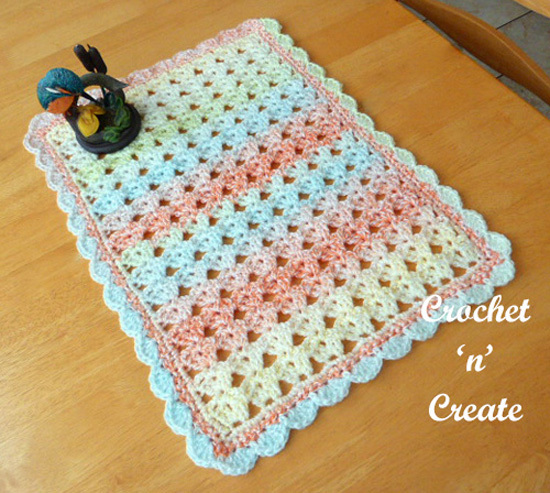 Yes Virginia I’m sure it would look lovely as an afghan, the pattern is multiples of 4 + 1. Hope this helps. Thank you for your pattern. Easy to follow and understand. Glad you are enjoying them Elizabeth.